You will probably have many questions about life in a residential care home, and about Manor Lodge in particular. Here is a selection of answers to some frequently asked questions. If you can’t find the answers you need here, please get in touch via the website contact page and our management team will be happy to help. Will I lose my independence, freedom, privacy and dignity? Your room is private. There are other areas where you can mix with others if you wish. You can be as independent as you like. Some people want to be fully independent, others want to utilise the support of the carers more. You can see your friends and relatives, invite them in for tea or dinner or go out any time you wish, just let us know when you’ll be back. The house looks so large, I’m afraid I will be forgotten. The home is not large, although the premises do look imposing. It is big enough to feel spacious and move around in, yet small enough to have a friendly atmosphere and for you to get to know everyone. How much privacy can I expect? You have your own en suite facilities and a call bell system that you can use when you require assistance. Private facilities are available to see anyone you wish. What if I have spiritual needs? We acknowledge the right of our residents to worship in their own faith and offer every assistance to ensure this is possible. We try to meet all religious and spiritual needs and the representatives of the local churches make regular visits to the home. What if I need help with washing, dressing and bathing? Experienced and friendly staff are always on hand to help with anything you require. 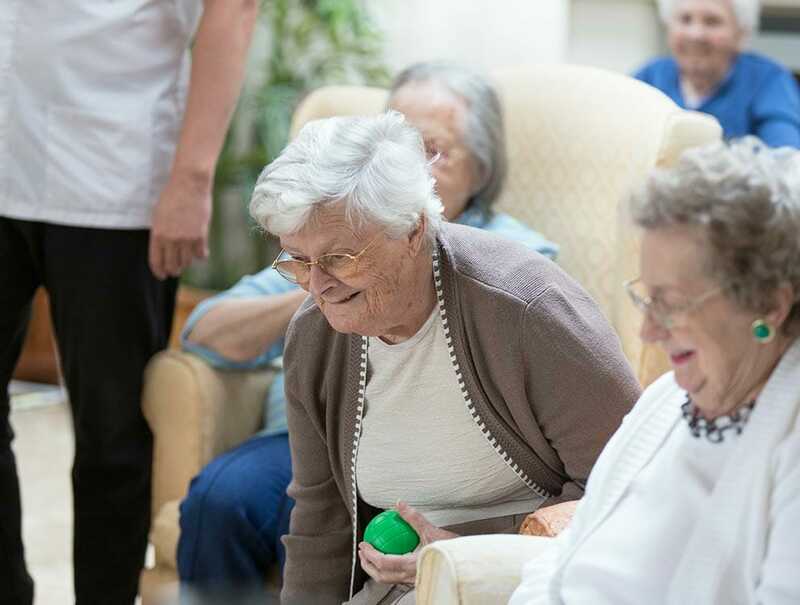 If, or when, you require or request care, we will discreetly cater for your needs. Also, as your needs change, we will increase our assistance. We provide assisted baths and walk-in bath and showers, to enable you to enjoy a bath or shower in safety. Many of the rooms have their own showers. If you need greater support, your carer will help. How do I know if I am going to like you? This is difficult; viewing the home personally can help. If you wish, you can bring someone with you – relatives, friends, or maybe your solicitor – for a second opinion. Please feel free to speak with the staff or chat to the residents and ask questions. Often the initial viewing is undertaken by someone other than the potential resident. Do I have to stay if I do not like it? No, there is no obligation. Come in and have a trial stay for a few weeks and see if we are the home for you. If you do not wish to stay with us, this period could help you identify what you are looking for in a home. We acknowledge it can be a difficult transition moving from one’s own home, therefore we are available to support you as much as possible. We can also offer day care, respite care or holiday stays, which can be good ways of deciding if you like our home and it is right for you. If I become ill, will you throw me out? No. This is a time when you will not be alone. We will call in doctors, nurses, and take care of you until you are better. Often our care staff can see something is amiss and are quick to treat the ailment, or promptly call in the necessary services. If the condition becomes terminal, we will continue to care for you, providing the home can cater for your needs. Any increase in care may initiate an increase in fees, but full details of how this is put into action are laid out in the terms and conditions and would always be in consultation with the client and/or their representative. The resident, family or relevant representative, if required, can make arrangements for the purchase of additional nursing services. What happens if I do not get better? This is your home and you are entitled to stay for as long as possible. We will work closely with the health care services to provide support for you. Whilst we acknowledge your right to stay in your home, sometimes circumstances beyond our control can influence this right. For example, if you need serious medical care or your needs are beyond our capacity or resources or the community services advise they can no longer support us, options will be discussed with yourself and your next of kin. Please feel free to discuss this matter further with the manager, who will be happy to clarify if you have any concerns. No, we actively encourage you to offer us your views, suggestions, concerns, needs, wishes and recommendations. You have many avenues to do this. We operate an “open door” policy, whereby you and your relatives or representatives can talk through any issues with the manager, and we hold a weekly informal residents’ meeting. All our meals and cakes are homemade. The menus are regularly rotated and in harmony with the seasons. You can have an early morning beverage at any time. We then serve a leisurely breakfast in your room. All other meals are served in the conservatory dining room, or if you prefer, in your own room. Special diets are catered for. What happens if I run out of something? We can shop for you – an order is taken regularly. There is a shop in the home selling necessities or we can arrange for transport to enable you to get to the shops. Medication is automatically ordered and collected by the home when you are running short, including self-medication. What happens about my laundry? It is all done for you, every day, washed, ironed and returned, though there are facilities for you to use if you wish to do any washing or ironing yourself. Beds are laundered and changed once a week. Dry cleaning will be collected but the cost is extra. There is plenty to do and people to talk with if you choose, so we do not expect you will be bored. We have a comprehensive list of activities and entertainment which you can choose to join in or not. There is a residents’ committee which meets regularly to discuss the activities and entertainment programmes. You can read about some of the activities we have going on at the home here. How do I contact my family and friends? You can have a phone fitted in your room, or we have a mobile on which they can contact you and speak in privacy. They are welcome to visit you at any time, though we do request they are respectful of others in the home. Your room is fully furnished and includes a television. All bedding and towels are supplied. However, you can bring any furniture such as your bed or favourite chair, ornaments, pictures and anything that reminds you of home, providing they do not cause obstructions in the room and subject to safety assessment. Do I always have to stay in my room? Is it run like an institution? No. The house is your home – you have full use of the lounge, dining room, games room, laundry room, grounds, kitchen and bathrooms. We are a small friendly home; companionship is always available, as is privacy. The residents support each other, and the staff support the residents. The home is not run as an institution, you are respected as an individual and are treated as such. Is moving into a residential home giving up? Quite the opposite! We believe it is saying, “I need support whilst I continue to live my life. I have decided – I wish no longer to struggle on my own. I want companionship, security and freedom of choice in a safe and secure environment.” We want you to live your life without worry or stress. It is a time to relax and let us take the strain, so you can enjoy yourself and concentrate on having a good time by enjoying all that is on offer. Surprisingly many have come to our home and have said they wish they had done it earlier.